Part of responsible homeownership includes, of course, regular home maintenance. And there are some tasks that, if deferred, can lead to a home system that’s inefficient and overworked, which can result in problems and expenses. 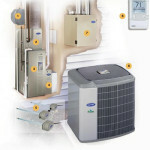 One such task is changing the filter of the home’s HVAC system. It’s simple and inexpensive, and taking care of it at least every three months can mean the difference between optimum comfort and avoidable repairs. Most homes have some sort of furnace or heat pump, and man y of those homes (especially newer ones) have combined heating, ventilation and air-conditioning or HVAC systems. Each type uses some type of air filter or screen to prevent larger airborne particles (up to 40 microns) from entering the system and clogging sensitive machinery. A system that has a dirty filter can suffer from pressure drop, which can lead to reduced air flow, or “blow-out,” resulting in no air infiltration at all. 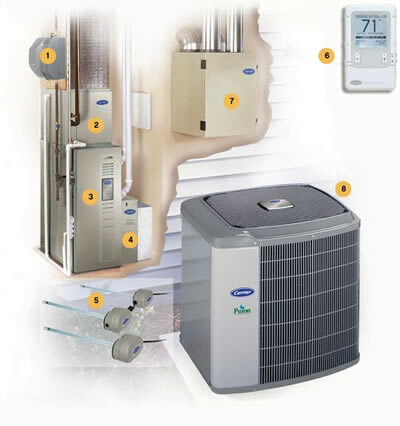 Any of these conditions can cause the system to work harder to keep the home warm or cool (depending on the season and the setting). And any mechanical component that has to work harder to run efficiently puts undue stress on the whole system, which can lead to premature failure, resulting in repair or replacement. Your HVAC or furnace technician should service your unit once a year. Because a furnace/HVAC unit contains moving parts, it’s important that belts are not cracked and dry, ventilation ductwork is not gapped, cracked or rusted, and components, such as coils and fans, are clog-free and adequately lubricated for unimpeded operation. This sort of evaluation is best left to the professional, unless the homeowner has had the appropriate training. The filter is damaged. Whether it happened inside the packaging or while being installed, a damaged filter that has bent fins, collapsed cells or holes will not work as well as an undamaged filter, especially if it allows system air to bypass the filter at any point. There is evidence of microbial growth or mold on the filter. Mold spores already infiltrating the home via the HVAC system are not only bad for the unit itself, but they can pose a health hazard for the family, ranging from an irritated respiratory system to a serious allergic reaction. The musty smell produced by a moldy HVAC filter is also unpleasant and may take a while to completely eradicate from inside the home. If you discover that you have moldy air filter, it’s important to have the cause investigated further. An InterNACHI certified Cris Home inspector can help determine the problem so that it doesn’t recur. Homeowners who take care of the easy task of changing their HVAC filter can help prevent system downtime and avoidable expenses, as well as keep their families living and breathing comfortably. Cris home inspections Cris Home inspector can provide more useful tips and reminders during your annual home maintenance inspection. When you are considering purchasing a home, you don’t want to buy something that will cost more to repair than the original price. Storm damage, water damage and a variety of other factors can lower the overall worth of a home drastically, but without having a home inspection before you buy, you may never know. Don’t waste your money and sink your hard earned cash into a home that is only going to end up as a money pit. Instead, allow us to help you out by performing our proven home inspection techniques, in order to ensure that you are getting the absolute most out of your money. Upon first glance, a home may seem perfect, but such is not always the case. Our home inspection service is called Cris Home Inspection, and we provide a variety of services for your home, both before a storm hits your residence, and afterward to ensure that you are able to get the money that you deserve in order to repair the damages that are caused. We are located in West Palm Beach, FL and have been helping people all over the area that are just like you. Our professional, friendly staff are able to conduct a variety of different services for you, including 4 Point Inspections, Windstorm Mitigation, Citizen’s Roof Certificate, and Home Inspections. This allows you to have one source for your home inspection needs. Our friendly staff will be more than willing to answer any questions that you may have about the service. A homeowner will usually try to sell his or her home for the absolute top dollar that he or she can possibly get. Many times, the home is not worth the money that the originally owner is asking. Instead of over-paying on your next home, allow us to help you save money by performing a home inspection and ensuring that not only is the home you are considering safe but the entire structure is secure. We are open to talk with you at any point, and you can set up an appointment to have us come to your home. We are Internachi Certified, Internachi is the most well known but There are several different home inspection association’s out there. 3. When will I get my report from my Home Inspector? The Inspector will fill out a form and it will be emailed to you and your agent. We try to do this within 24 hours of the Inspection. We have been doing Home Inspections for 15 years in South Florida. Yes, I would never recommend using a Business who is not licensed, bonded or insured. 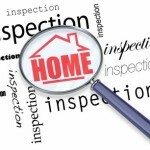 Things to know about a Broward Home Inspection and the benefits. Important things to know about a Home Inspection and the benefits. 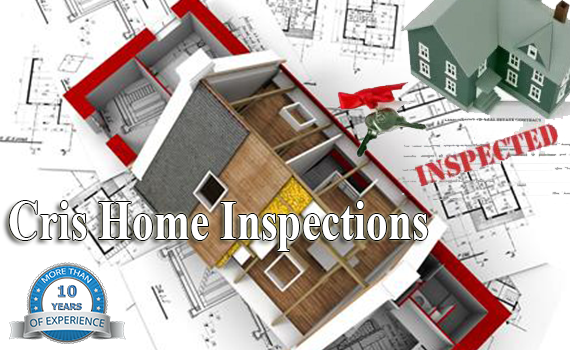 Home Inspections are an important process that plays a pivotal role in the buying or selling of property. It is done by a professional Home Inspector trained for this specific purpose. A house will probably be one of the largest investments you make, you do not want to lose any time while forking out where you are not required to. While one may be thorough and detailed, he/she may not be as experienced as the next hence, losing an edge in that perspective. However, there are three common components that every good Inspector should cover and include in the final report. A comprehensive Home Inspection should basically elaborate and categorize each problem as a safety issue, minor defect or major defect. Secondly, the Inspector should also list down all items that need to be replaced, repaired or needs servicing. Lastly, the Inspector should explain the items that are suitable for now and those that require close monitoring. 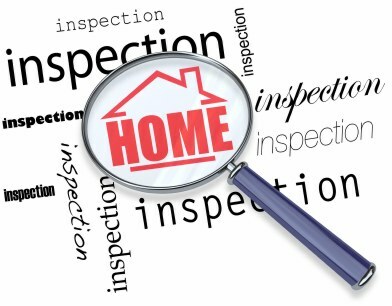 To a home owner, contrary to common perception, Home Inspection shouldn’t be carried out only when buying or selling. It is equally beneficial to all home owners and in fact, those that do it on a regular basis enhance the longevity of their property. A comprehensive Home Inspection will not only document the condition of your home, but also identify minor defects before they turn into expensive repairs. The procedure will go a long way in helping you find solutions to problems in a professional and timely manner. To Buyers technically, this is the lot that stands to gain the most from Home Inspections. Qualified Inspectors are trained to detect as many defects as possible with the help of acquired techniques, specialized tools and extensive experience. This basically means that the buyer will be made aware of any problems and hazardous conditions within the property hence avoiding over-paying. This gives the buyer peace of mind as he/she makes an informed decision on whether or not to purchase the house or to keep looking. Not only will the buyer get valuable, in-depth knowledge about the new home, he/she will also avoid future surprises. To Sellers it is common to find home owners seeking to sell and not identifying problems on the property while showing it to a prospective buyer. A seller can avoid losing out on sweet deals by procuring a Home Inspection. This will enable the Seller to replace or repair any defects to increase the property’s value. This also eliminates the rush and costs that come with last minute repairs that are known to cause delays. 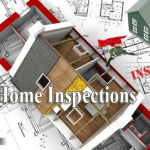 The bottom line is that regardless of whether you are a buyer, seller or home owner, Home Inspections are a highly beneficial procedure that you will be glad about in the future. It is certainly worth every penny offering great value for your money.